My summer wardrobe was always something I struggled with. I used to dread hot weather; I never had anything suitable to wear, I always felt uncomfortable, and I would wish away the days until it was cool again. I just didn’t know how to dress without compromising my personal style. My light bulb moment came when I realised it's all about choosing the right fabrics and cut. Finding your “summertime style” relies on discovering key items that keep you comfortable in the heat but don't compromise your personal style. You don’t have to wear traditional summer items like shorts and t-shirts; you can still wear the style you love so long as you pay close attention to the fabric they're made from. 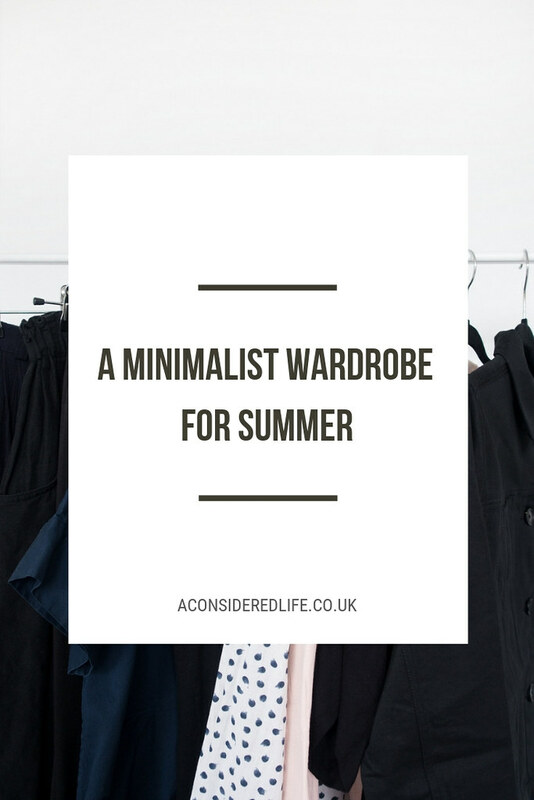 Find items that you already enjoy wearing made from natural fabrics like cotton and linen in perhaps slightly looser cuts and you’ll discover summer isn’t so tough after all. It’s taken me a couple of years but I’ve finally created a wardrobe that makes the warmer months easy to endure. I've hunted down maxi dresses and skirts, boxy tees and shirts, and loose dresses - things I already enjoy wearing all year around - and made sure they were made from linen and cotton. These pieces keep me cool in the heat without compromising my personal style. I now get excited when summer rolls around because I can finally enjoy the sunshine without becoming an overheated mess! British weather is so unpredictable you can never be 100% certain that a heatwave isn’t going to turn into a thunderstorm so I like to stay realistic with my choices. I never hide anything away, not just so I can throw on a jumper on a chilly summer day but limiting the clothes I’m “allowed” to wear each season only stifles my style. I select the most versatile pieces for the season and if the weather changes or I get bored I’ll throw something new into the mix. My summer wardrobe consists of two dresses, two skirts, one pair of culottes, three tops, one jacket, plus one pair of shoes and a crossbody bag. 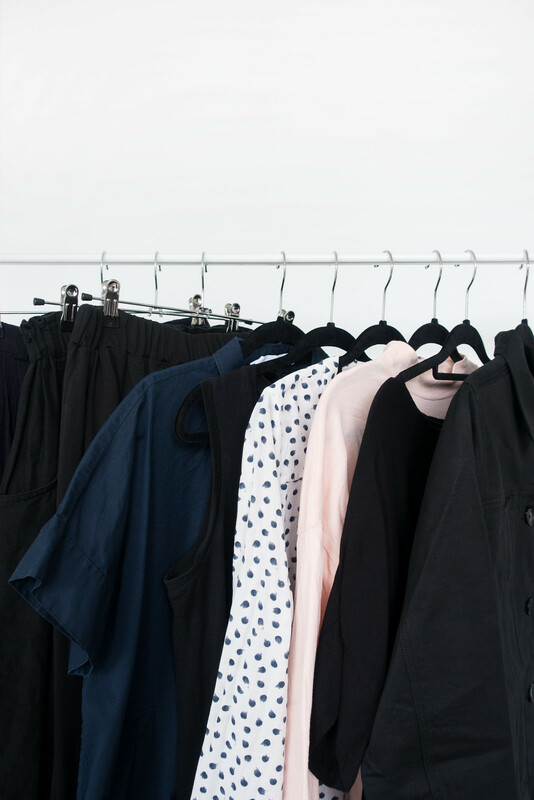 There’s a dash of colour in my summer wardrobe but not too much; I was a little too enthusiastic with my spring wardrobe and it didn't quite work out! I purchased a Muji Maxi Dress last summer and since then it's become a staple in my wardrobe, no matter the season. It's sleeveless (making ideal for layering), loose-fitting, and the perfect length. I tend to throw a shirt on over the top and knot it at the front to give my outfit more shape; but on really hot days, I'll wear it on its own to stay cool. The Everlane Poplin Shirt Dress is a great throw-on-and-go outfit. It's easy to wear and looks smart; I always get compliments when I wear this dress. I think every woman's wardrobe needs an effortless dress to wear in summer, it makes those super hot days easy to bear. I like to have three different tops available to me in summer: a cropped tee, a long-sleeved top, and a shirt. They cover pretty every occasion I can think of. I added a couple of Everlane Mockneck Tees in peach and black to my wardrobe last month and they've quickly become my go-to pieces. Relaxed with a boxy fit, I can knot these at the waist for a flattering look. I've included two old favourites in my summer wardrobe: an Only Child Cropped Tee and a vintage spotty shirt. Maxi and midi skirts are crucial for summer comfort, in my opinion. I can never find skirts that fit just right, which is why I only have two in my entire wardrobe: a vintage navy maxi skirt and black midi skirt by Tricotage. A new purchase I'm super excited about is a pair of culottes by Muji! They're made from a blend of cotton and modal, which gives them a lovely drape, and the wide elasticated waistband makes for a comfortable fit. The style makes them versatile enough for evenings out and casual strolls in the sunshine. As optimistic as I am about the sunshine, British summers can get chilly; I like to have a lightweight jacket on hand for when there's a dip in the weather. The Farnol Twill Jacket* is a modern take on a classic jacket, and for someone like me who never wears denim, it's the perfect alternative. It's cute and casual, and a handy piece to have for throwing on to avoid the summer chill. A full review of the Farnol pieces I ordered is coming soon! I've been sharing my outfits on Instagram Stories! What are your go-to summer pieces? Share your summer wardrobe tips in the comments!